The spice mobiles are perfect in selling Basic mobile phones in earlier days. Now it has designed new smart phones with class in performance and working with specific processors which give ultimate gaming. 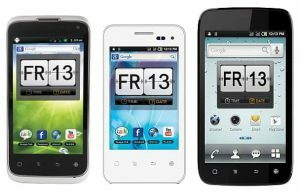 Some of the smart phones are listed best! Stellar 600 has a 6 Inch IPS display with clear and crystal images when viewing in all angles. The android phenomenon KITKAT works with this phone. The processor is enchased with quad core 1.3GHz which speeds up while running apps, data etc. The powerful performance was given with 1GB RAM and 4GB ROM. 2500mAh battery gives better running apps without need of charging for few hours. It flaunts with 5 Inch IPs LCD multi touch screen which enables premium quality experience on the screen. The duty is going on inside with 1.3 GHz quad core processor paired up with 1GB RAM and has excellent graphic gaming. The android platform is of 4.4v KITKAT. The primary camera clicks images with high 8MP camera supported with Led flash and BSI sensor & secondary camera is of 2MP snapping selfies. The new smart phone stellar has efficient 5 Inch IPS LCD multi touch display with 480*854 pixels resolution clarity and the hood of the smart phone is powered by quad core 1.3 GHz processor clocked with 1GB RAM. The internal storage is of 8GB and can expand up to 32GB with memory card slot! The platform of android is of KITKAT and upgrade to lollipop. Looking for a smart phone which is of high multi tasking and gaming experience with ultimate graphics! The above are of full extended features with your satisfaction and gives extra ranging performance in taking snaps with premium sensors.